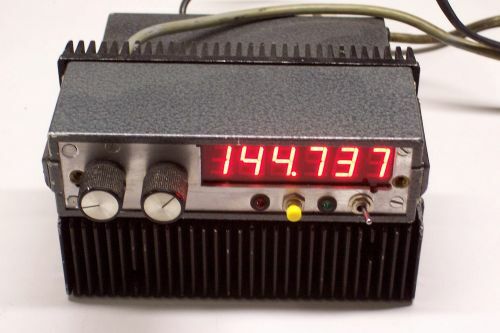 My first experience with a PIC was with the modification set for the Teletron T813 (a 156 MHz band transceiver for busses). 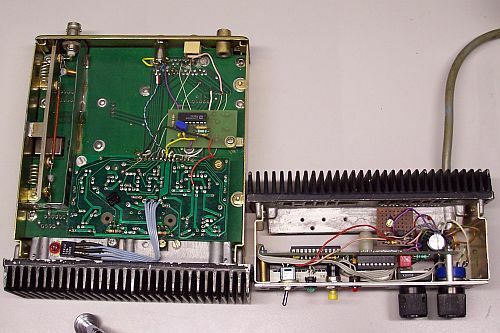 The PIC controlled almost everything in the transceiver such as the LCDisplay, 600KHz shift, roger tone, scanning, etc. This design of Peter, PE1DTN was only available as a Hex file and so I started to disassemble it and try to understand the functionality of the software. That was a hell of a job, but I succeeded! In this first version it was not possible to change the hard coded startup frequency, so that was the first thing I changed in the program. Later on Peter modified the software in a much user-friendly way, so the startup frequency was now part of the changeable parameters. You can find some more information about the modification kits for the T813 on the site mentioned (in Dutch).